It is a very rich and intricate novel, deceptively measured on the surface, but harbouring immense emotional tension and passion. I hope that this beautiful book is made available to readers outside Australia, because it adds a unique voice and style to contemporary South Asian writing. ‘The big house was more crowded than ever and although Jijee-ma tried to shield me from all the bustling activity, we both knew we would only be able to spend some quiet time together later in the evening. She was kept busy all day managing the household. It was only at night, after all the many visitors had left, the servants had finished their work and family members, especially the children, had been put to bed, that she brought a glass of sweetened milk for me and we were able to sit down and talk. She sat on my bed with a small bag of almonds and walnuts on her lap, reached for the nutcracker, and began: “You are going to come back, aren’t you?” I put away my pen and notebook, looked into her tired smiling face and prepared myself for the chit-chat. The following night she entered without the bag of nuts, sat on the bed and asked me to pull my chair closer. “I want to show you something,” she said, and pulled out a packet of photos which she spread in front of me. They were all of young women. She left the photos on my table so that I could have a better look at my leisure and make a shortlist. Then I was supposed to give this to her and arrange times to meet the girls. I knew how the system worked, and perhaps that’s why I felt anxious and humiliated. I simply listened to Jijee-ma’s comments on each one and kept quiet, knowing that my silence would be misinterpreted. But after my Jijee-ma left, I picked up the photo of Chandani. I was intrigued by her film-star looks. She used to sit next to me in primary school and often shared her tiffin with me. But her fiery temperament had been obvious even then. I hadn’t forgotten the fight we had over a mere pencil sharpener. In a terrible rage she had thumped me over the head and bitten me hard on my right arm, leaving behind the deep marks of her savage teeth. On the third night when Jijee-ma came in to talk I took from my wallet a small black-and-white photo and handed it to her. “Who is she?” she asked. 'This is an engrossing novel that does a variety of things at once and takes the reader on a number of different journeys. The primary journey is into the love relationship between the book’s main protagonist, Vasu, a somewhat reticent Indian student of architecture in Moscow—who, among other things, is fascinated by the histories, structures and shapes of different cities—and Anna, a Russian cellist and archaeologist with German ancestry. The novel charts the relationship between these two characters as it develops from first encounters to love and cohabitation. I don’t wish to say too much about the novel’s plot because I don’t want to spoil your own reading experience, but the title of the book will give you a general idea of how things end up between them. Subhash Jaireth does a brave thing in this book. He tells it in the first person voices of the main characters—mostly the voices of Vasu and Anna—and, in doing so, establishes from the start a kind of counterpoint between their respective points of view, and a fugal structure for the novel as a whole. Everyone would know Bach as a major composer of fugues, along with earlier composers such as Pachelbel, and although the fugue eventually gave way to the sonata form, it remained influential—not only in the music of major 18th and 19th century composers such as Mozart and Beethoven, but also in the hands of the great 20th century Russian composer, Dmitri Shostakovich. Perhaps this is one of the Russian connections in the novel (Shostakovich is certainly mentioned in it). In any case, like this novel, fugues often contain an exposition, development and recapitulation and in them two or more voices build on a musical subject that is introduced early and which recurs throughout. In this novel the main themes are unfolded contrapuntally—that is, through the movement of two voices—like two melodic lines—that reference each other in ways which in musical parlance would be called contrary motion, similar motion, parallel motion and oblique motion. So the unfolding of this book’s narrative is one of its fascinations, as the voices of the key characters separate, entwine, run together and diverge. The word ‘fugue’ derives from Latin and is linked to fugere , to flee, and fugare , to chase. Such concepts summarise key aspects of this work, as it documents a love affair where chasing and fleeing are central features. This is not the usual story of early passion and strong embrace that dwindles over time after familiarity has become a habit. Instead it is a story about how two unusual and distinct people come together almost by accident and attempt to negotiate their individuality, cultural differences and relative isolation into a workable partnership. As this negotiation takes place, the reader is taken into both of their families, which are revealed to have very different (and yet not always so different) expectations and dynamics. Some of the most compelling intimations about human intimacy in this work are rendered through these depictions of family life, and in the way families are shown to evolve and change. There is poignancy at the end of the novel as various family stories are brought up to date and are seen to play out, or to have played out, in unexpected ways. Subhash Jaireth is a fine observer of people and sketches their lives with subtlety and nuance—in ways that are almost understated at times but always persuasive. By the end of the novel I thought that many of these characters could have been people I had met in the flesh. This novel also takes us to different cities in various countries—Moscow, Sydney and Venice, among others. It is a novel about how people in our time move around and make connections that cross international and cultural boundaries; about the fluidity of relationships and the mobility of love. It is about how some older traditions can no longer capture or contain the intimate relationships that people have, and how different expectations between lovers—always tricky to some extent, even when people share similar backgrounds—are difficult to negotiate across cultural boundaries and international borders. In addition, this book is a celebration of culture. It includes small dissertations about cities and their planning, music, art, and other subjects—all of them unfailingly interesting and all of them tied closely to the depiction of one or other of the characters. It fascinated me how much in this book functions both literally and symbolically—how connections or failures of connection between various characters were articulated through their musical or cultural activities. And the theme of archaeology, subtly laced throughout this work and most overtly addressed through Anna's studies in the subject, emphasises this novel's preoccupation with knowing and finding the past and with scrutinising memory. Some of this scrutiny focuses on family history and on the often untold stories that are implicit in many photographs. As the novel explores these issues, the reader is shown the limitations and frustrations of such activity as well as some of its intriguing satisfactions. 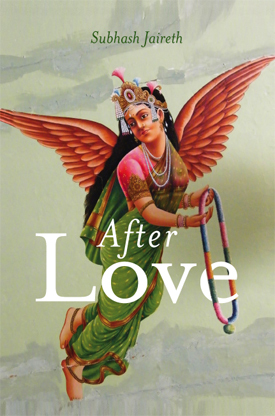 So the title, After Love , is not simply about the characters Anna and Vasu; it is also about what happens after love and close human connection more generally, in all sorts of circumstances. It explores how one character, Vasu, learns about himself through his experience of love, not so much allowing him to change—although that is part of the story—but allowing him to understand the world and his place in it. At times this novel emphasises reflection and contemplation as much as action—although plenty does happen in the book—and that, too, is one of its pleasures.